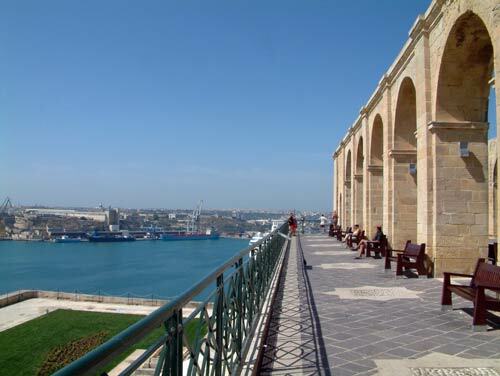 The Upper Barrakka Gardens in Valletta, Malta, overlook the Grand Harbour and provide wonderful views of the 3 cities, the Bell Tower and harbour area. The gardens are beautifully maintained - a place of peace, colour and refreshment, and above all an excellent vantage point for photographs. Lots of tourists visit the gardens to enjoy the views, fountain, flowers and shrubs. There is a cafe inside the gardens for snacks and drinks and toilets near the Greek temple in the lower gardens. 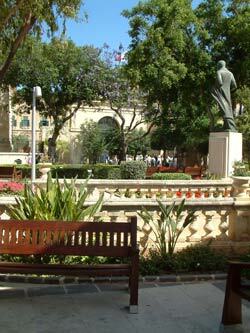 The gardens are also home to a large number of historic monuments commemorating various events. This is a brilliant place for historians to visit, especially anyone interested in WWII. There are also Lower Gardens, again with attractive views.